Nebraska Football: Who Is Replacing Every Former Husker Taken in the 2015 NFL Draft? Nebraska football fans watching the NFL draft had to wait until the second day to see the first Cornhusker alum go off the board. Ameer Abdullah went in the second round to the Lions, Randy Gregory went (finally) in the second round to the Cowboys, and Kenny Bell went in the fifth round to the Buccaneers. So who will take their place? Which players will step up and replace the NFL-level production provided by Abdullah, Gregory, and Bell last season? With the help of a projected depth chart from Sam McKewon of the Omaha World-Herald, here’s at least some potential replacements. This is probably a little misleading. Newby looks to be in prime position to get the first crack at taking the lead I-back role for Nebraska in 2015. But McKewon thinks (and with good reason) that Newby will be at least the nominal starter net season. That may not mean as much with Nebraska’s stable of backs (and with a new head coach and offensive philosophy). And there’s no doubt that none of Nebraska’s I-backs will be focus of NU’s offense and a team leader the way Abdullah was last year. But if there’s anyone that will fill the Ameer-shaped hole for Nebraska next year, Newby looks like the man to get the first shot at it. OK, hear me out. I know Newby is a linebacker, and isn’t even guaranteed a starting job next year. But Gregory was always undersized for a defensive end, making up for his lack of size with freakish athletic ability. What Gregory’s real talent was for the Blackshirts was rushing the passer. In both 2013 and 2014 (according to CFBStats.com), Gregory led Nebraska in sacks. Newby had one sack in eight appearances. More importantly, though, his appearances were mainly limited to passing situations where his role was to rush the passer. Sure, Gregory was an every-down defensive lineman at the collegiate level, not just a pass-rush specialist. 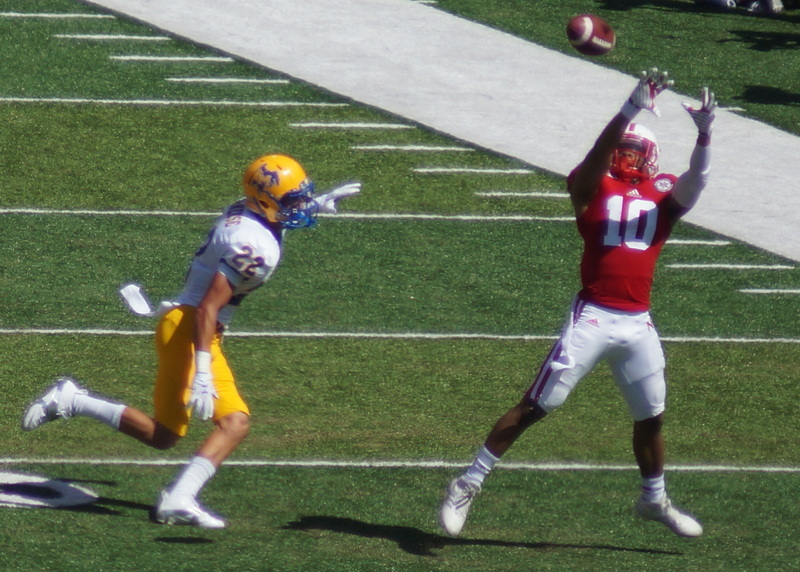 But where Gregory will be most missed by Nebraska is his ability to pressure opposing quarterbacks. Don’t be surprised to see Newby fill that role next year, if he doesn’t beat David Santos out for the weakside linebacker job altogether. Yes, De’Mornay Pierson-El is likely to be Nebraska’s most dangerous weapon at receiver. But Bell provided more than just a deep threat. He was also provided leadership and toughness. And while Pierson-El’s talent is undeniable, he hasn’t even played a full year at receiver. Turner, on the other hand, will be starting his sixth year in the program after receiving a medical hardship. And with the injuries he has fought through, Turner has demonstrated a toughness and tenacity which the rest of the receiving corps can look to and emulate. Admittedly, Turner doesn’t have Bell’s amazing hair. But Turner, more than anyone else on the roster, can replace Bell’s combination of playmaking speed and senior leadership.